Use arrows to toggle among images. 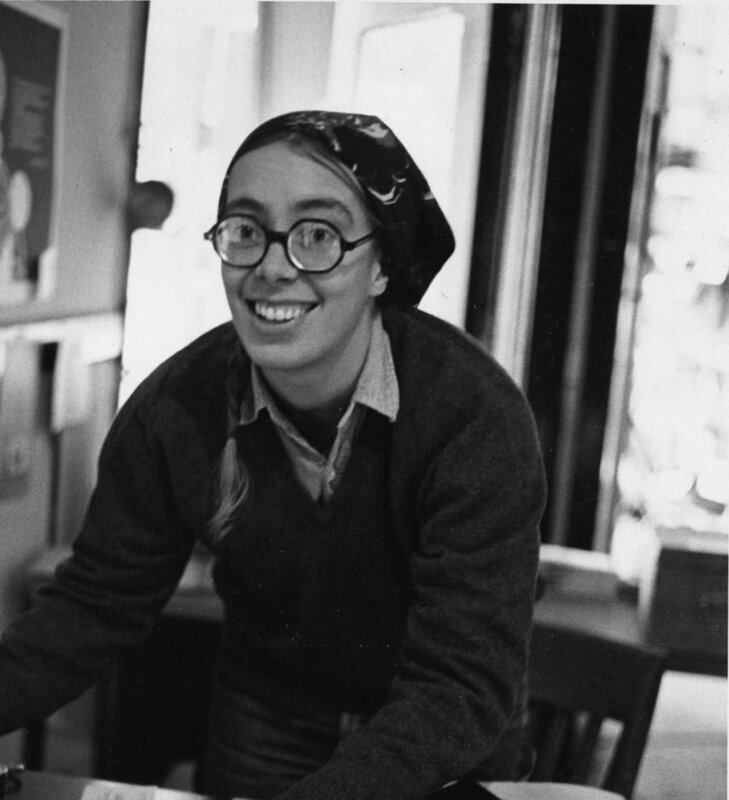 Heather Booth in Demonstration. 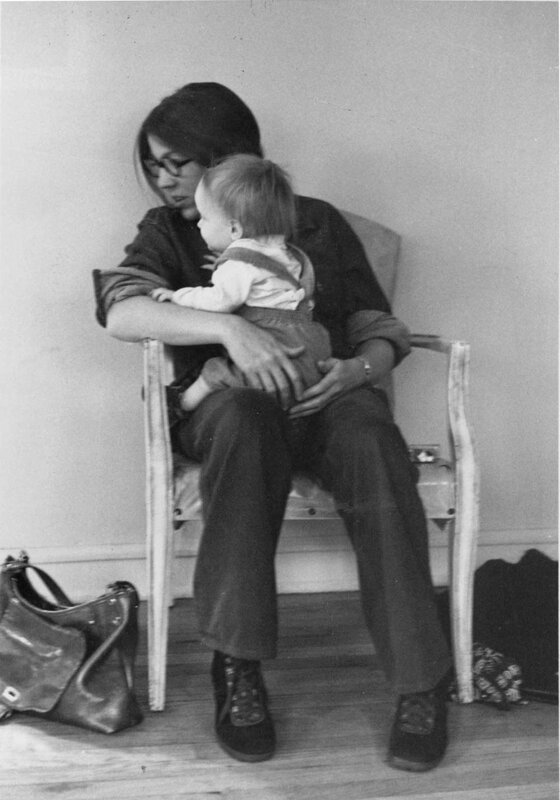 Photo may not be by Elaine Wessel. 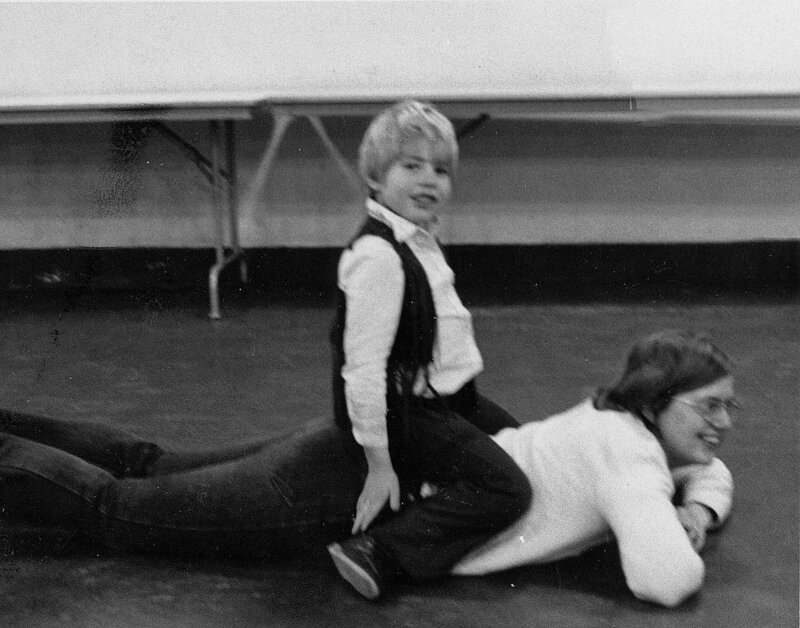 Photo may not be by Elaine Wessel. 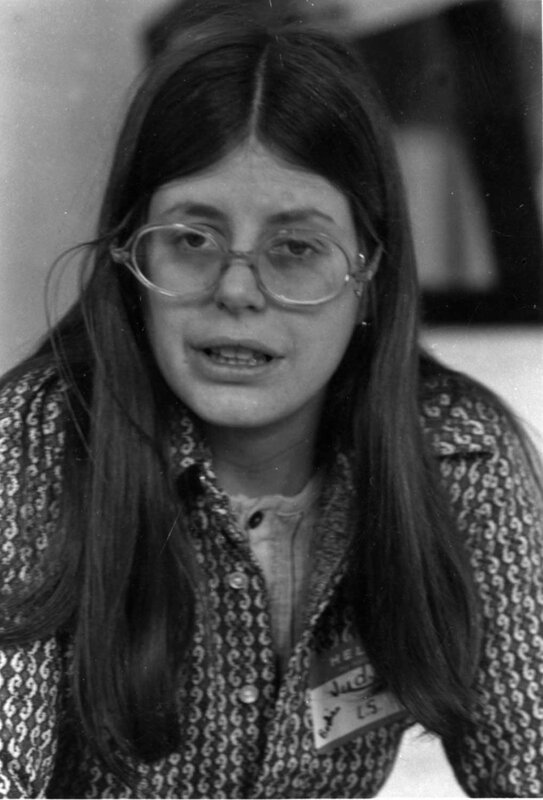 Photo may not be my Elaine Wessel. 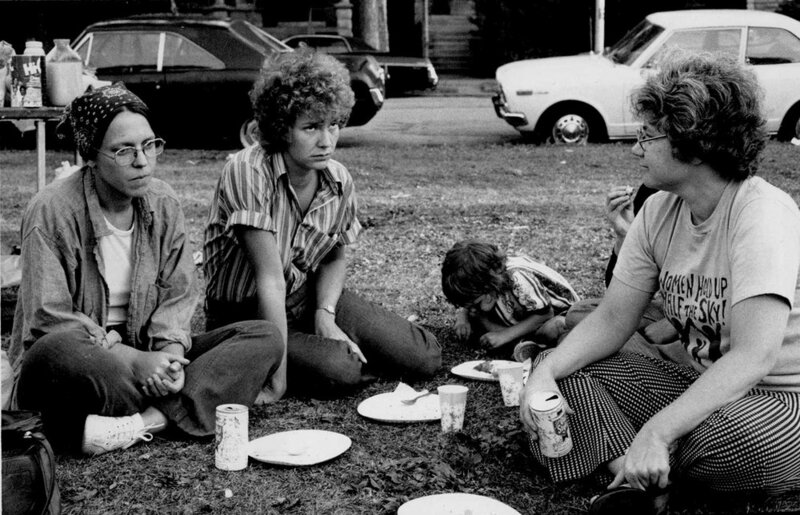 CWLU picnic, Palmer Square Park, summer 1976. 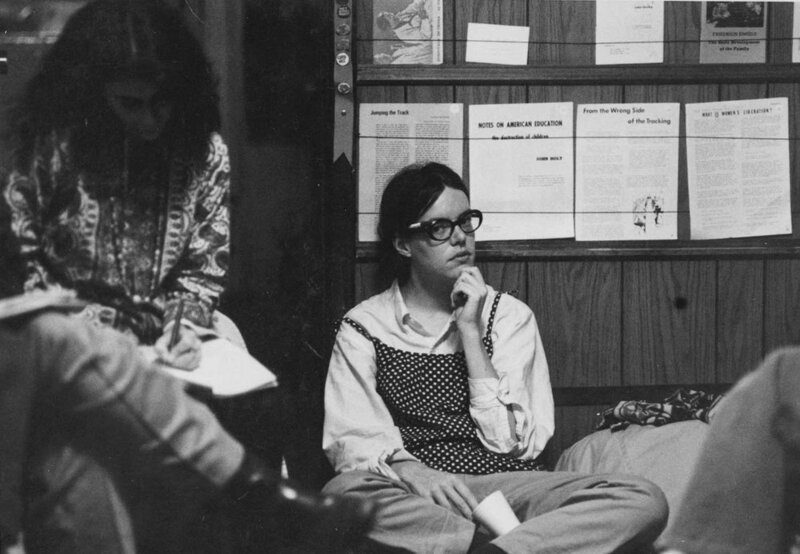 CWLU Steering Committee meeting, October 1974, Deb. 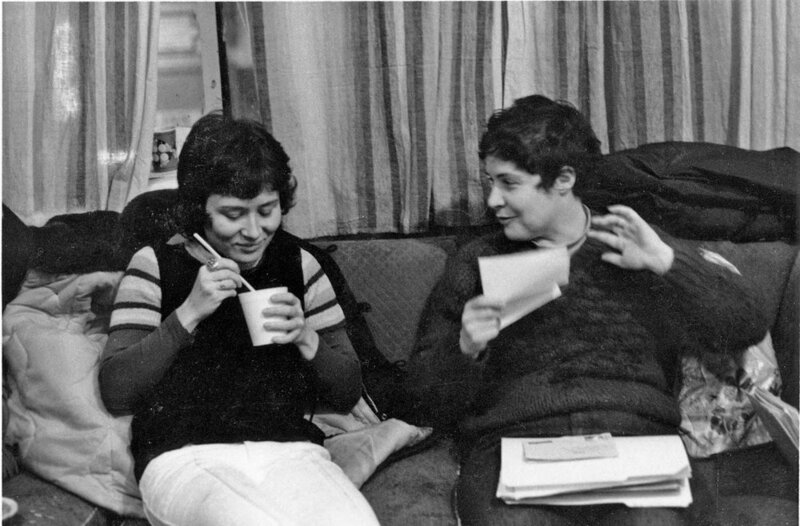 taking a break from the 1974 conference. 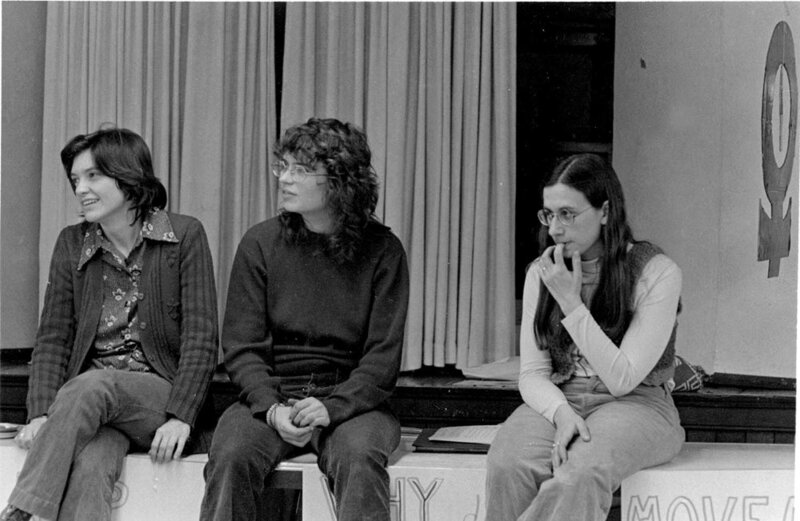 Kitch, Betsy V; third row: Joan, Cindy; fourth row: Mary Ann. 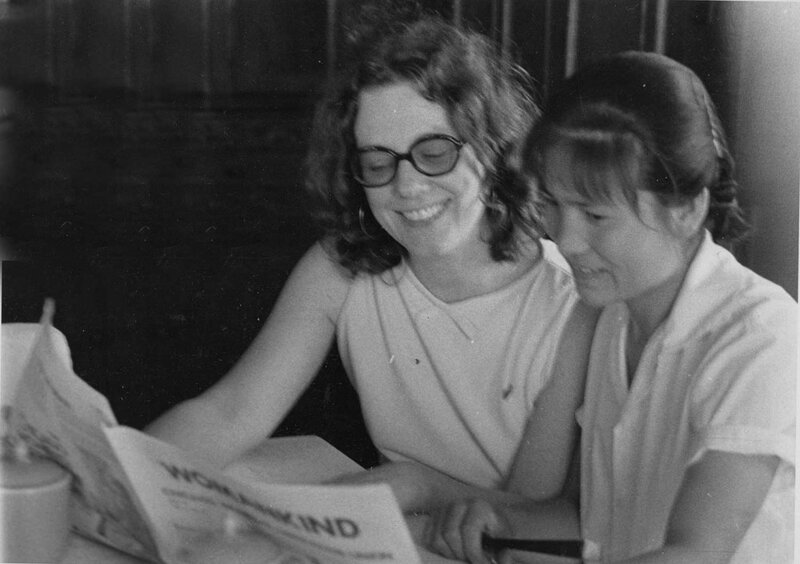 Betsy and a Chinese woman read Womankind. 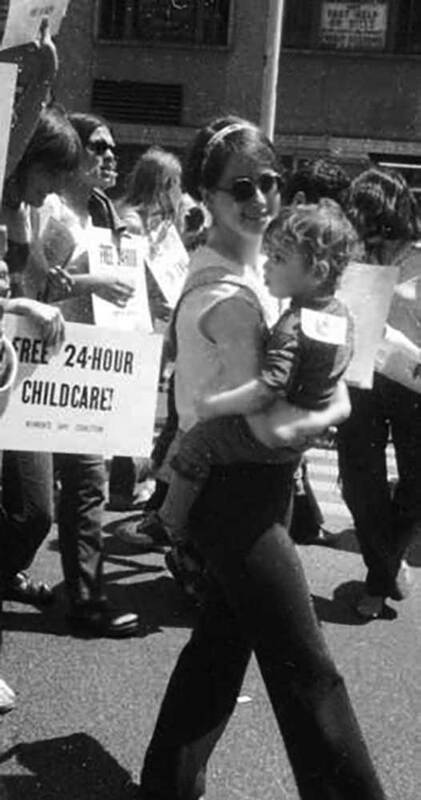 CWLU members demonstrate in support of the Chicago Maternity Center’s home birth program. The CWLU China trip stops at a factory. 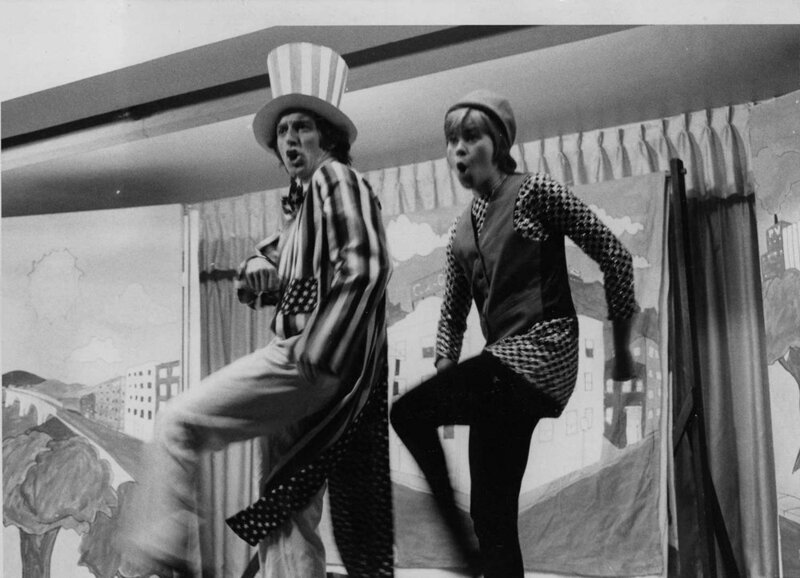 People Cheering the CWLU China trip. 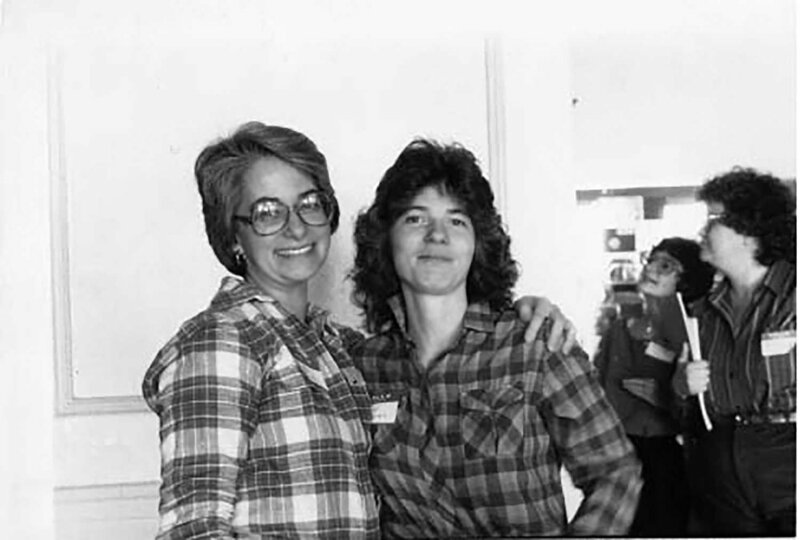 CWLU Steering Committee meeting: Juanita, Rinda, and Jenny. 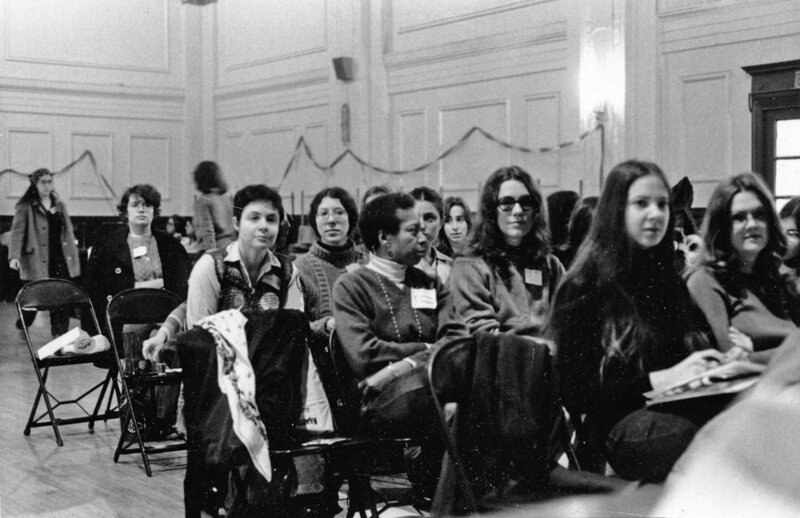 CWLU conference November 1974: Michelle, Rinda, Judy, and Cady. Train, taken during theCWLU China tour. 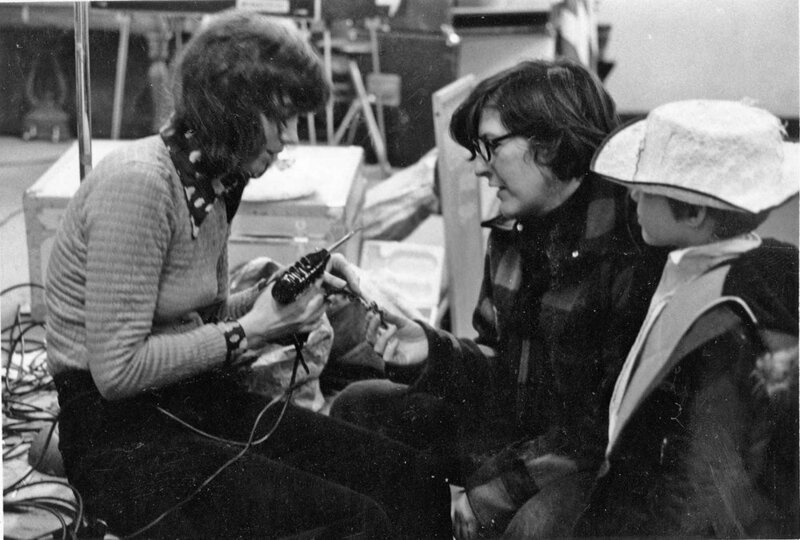 Judy and Margaret demontrate competence on an ancient technology--the multilith printing press-- while working on an early issue of Womankind, CWLU’s monthly outreach newspaper, fall 1971.Judy and Margaret S demonatrate competence on an ancient technology--the multi-lith printing press-- while working on an early issue of Womankind, CWLU’s monthly outreach newspaper, fall 1971. 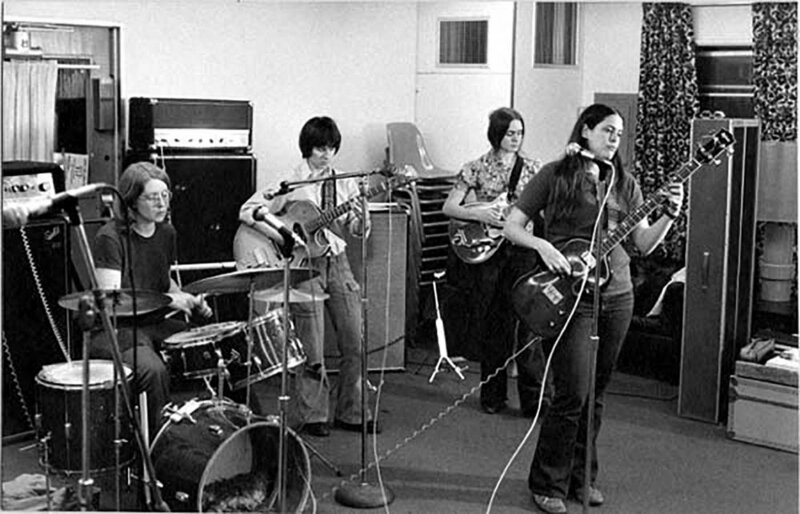 Naomi works the keyboard with the Chicago Women’s Liberation Rock Band, 1972. 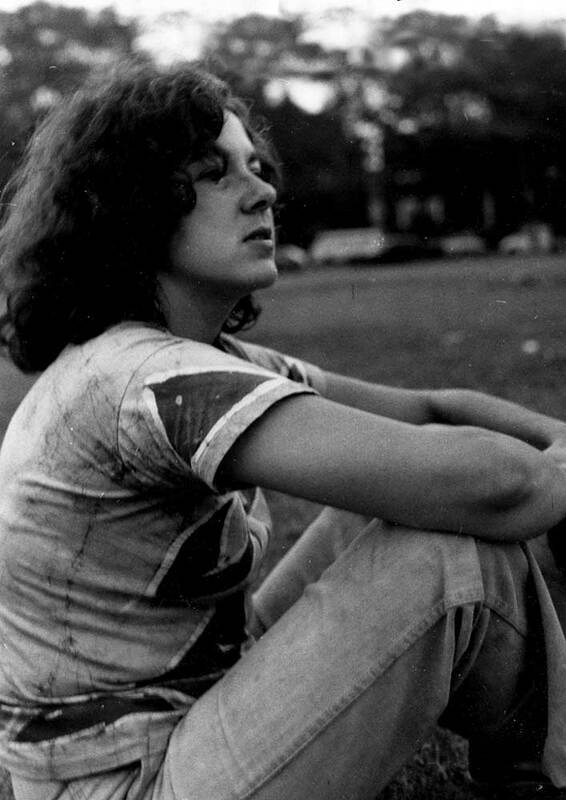 Estelle, co-Founder of the Women’s Graphics Collective, in a pensive mood, November 1974. 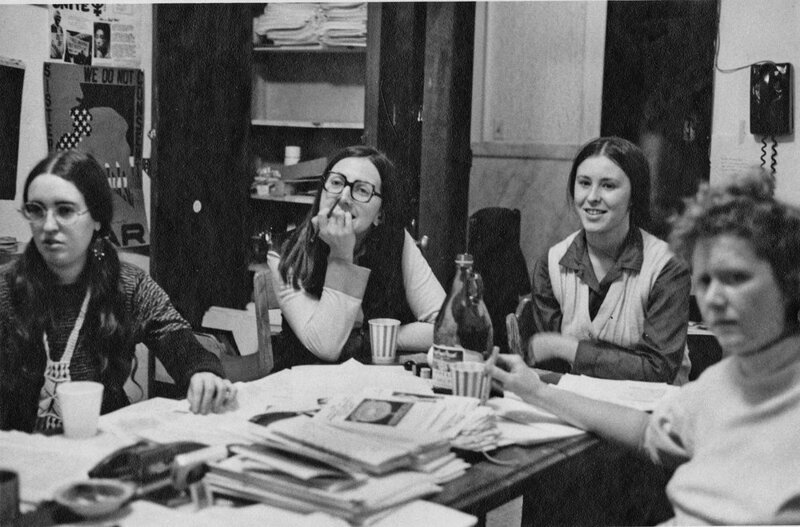 The Womankind work group, winter 1971-1972, prepares the CWLU’s outreach newspaper. Between 2,000 and 5,000 copies were distributed monthly. 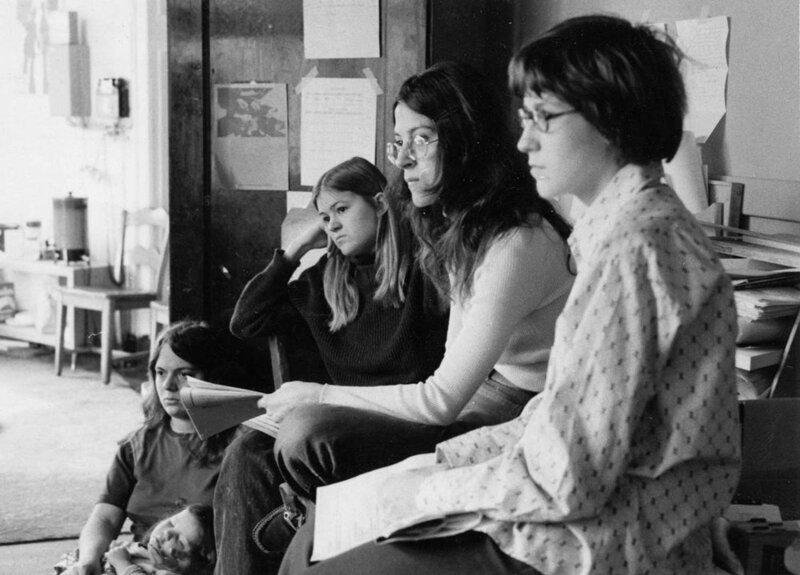 Sarah at the Liberation School orientation, 1974. 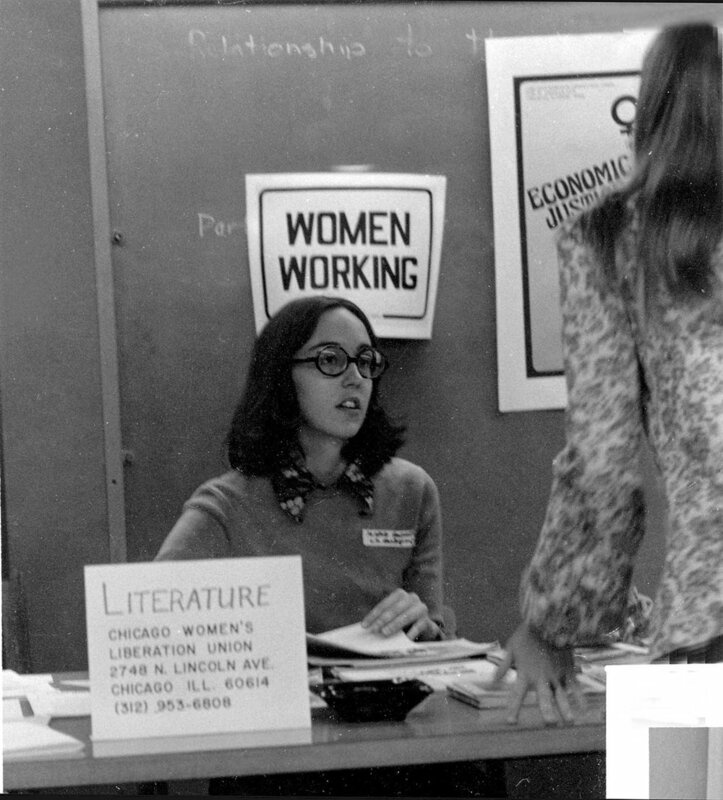 CWLU members staff the Women’s Booth at the spring 1976 People’s Health Fair sponsored by Rising Up Angry. 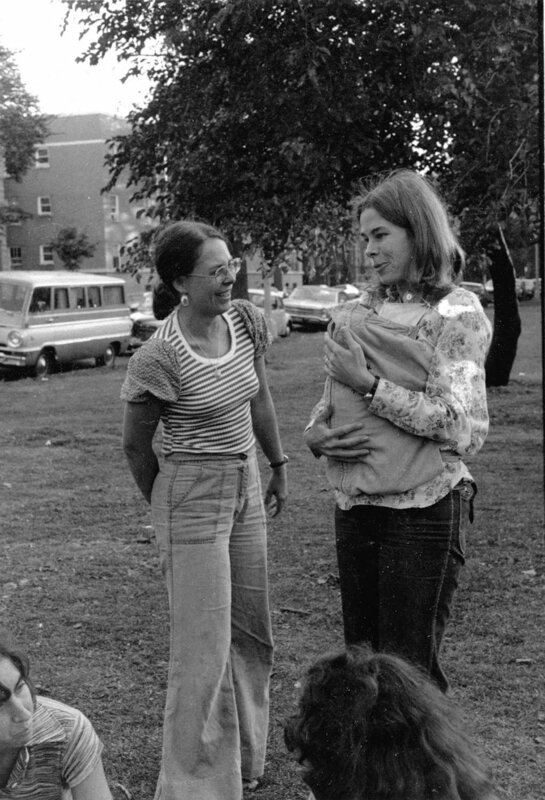 Allyne and Mim at the Civic Center demonstration on August 26, 1971. 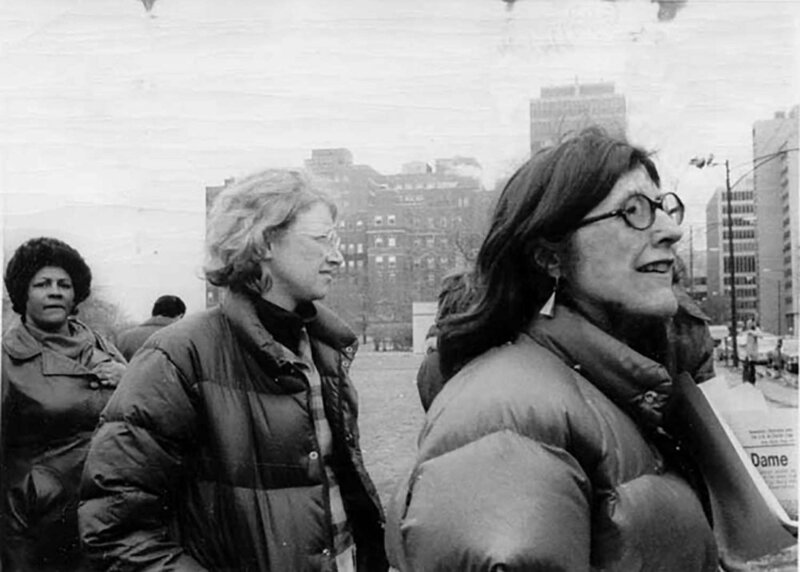 Brenda speaks at Wilbur Wright Junior College, International Women’s Day, March 1975.
at CWLU picnic in Palmer Square Park, 1976. 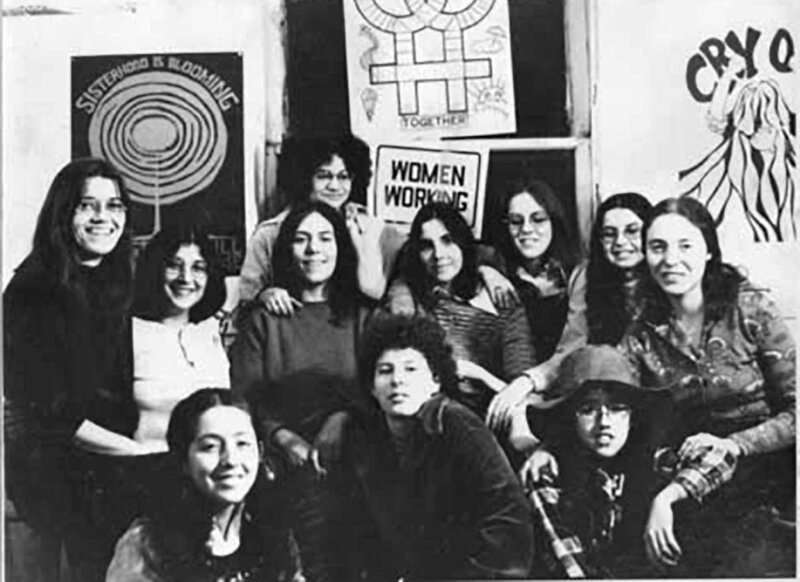 In March 1974, the CWLU helped organize the "Economic Justice for Women" demonstration advocating equal pay and day care.